This new line of all-in-one detectors combine a detector and a meter with bluetooth connectivity in one convenient product. 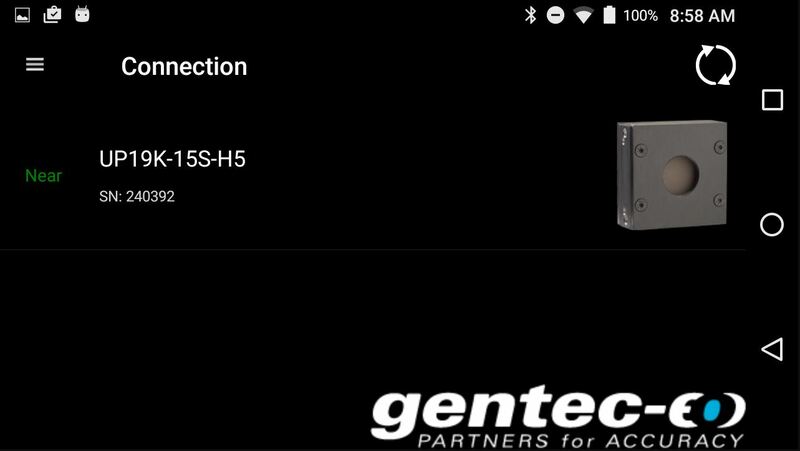 The small but powerful meter of the BLU Series presents a bluetooth connection so you can display the results on your mobile device with the Gentec-EO BLU app available for iOS systems in the App Store and Android systems in Google Play. Need to use it with a PC? 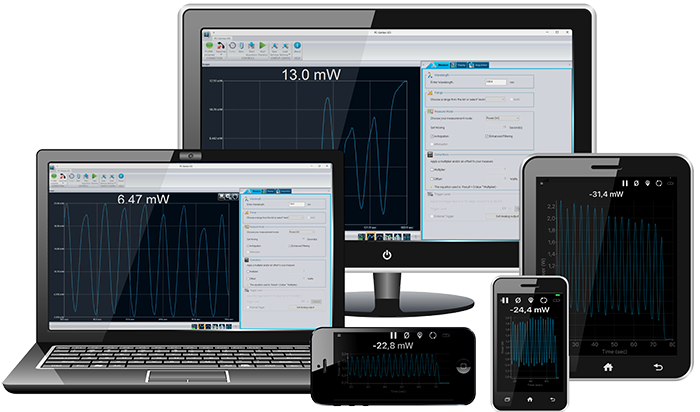 Simply plug in the included bluetooth receptor and be ready to make power or energy measurements within seconds! This new line of all-in-one detectors combine a detector and a meter with bluetooth connectivity in one convenient product. No need to carry a meter! Operators can be far from the detector while making measurements (up to 30m, depending on the environment and barriers). And with less cables in the workspace, accidents are less likely to happen! Receive data at up to 30m from the detector, with the same performance as the usual detector + monitor combination. Connecting a BLU device is very simple in the mobile application. Just open the app and it will automatically search for all available devices. Then, tap on the desired device in the list. If there are no devices within range, the app will propose a simulator. When a BLU detector is connected to a phone or computer, no other device can communicate with it. 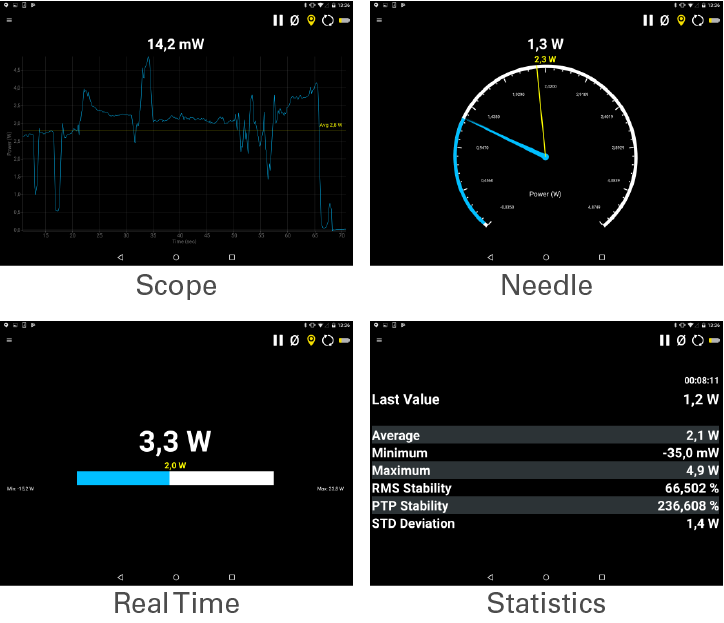 Measure mode: select the type of measurement that will be displayed: power, in watts (default) or single shot energy, in joules (energy/calorimeter mode). 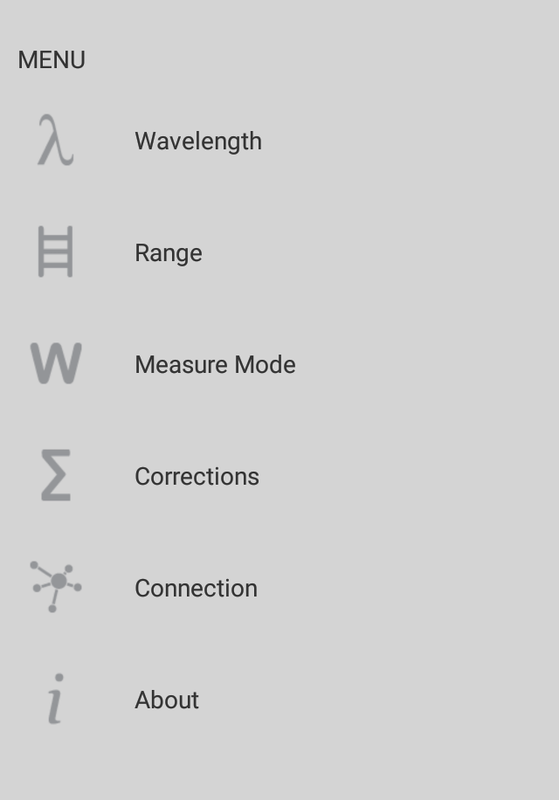 Connection: use this option to see the list of BLU devices within range. 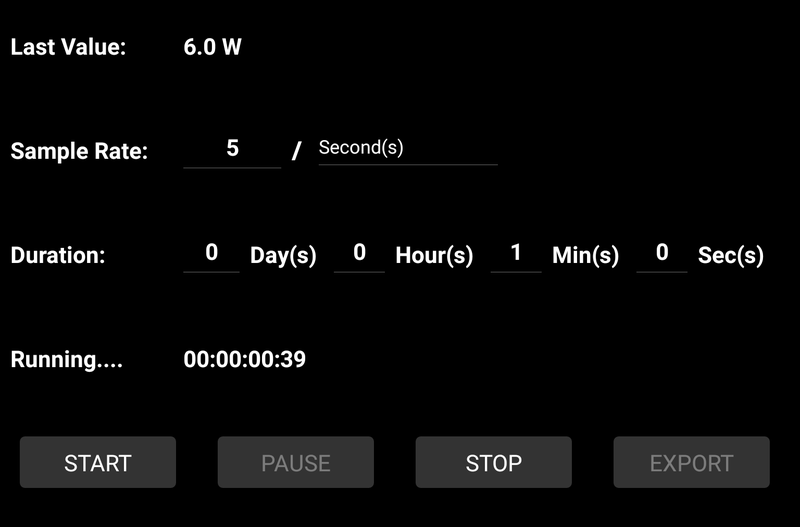 Power mode: choose a sample rate (number of measurements per interval of time) and a duration (in days, hours, minutes and seconds) for the data acquisition. Energy mode: choose a sampling rate (1 pulse out of X pulses) and a duration (total number of pulses) for the acquisition of data. Once the acquisition is complete, you can export the data to any of the data-sharing apps installed on your mobile device, or send it by email.